In the last few years, west end theatres have become increasingly dominated by musicals. Unfortunately, I’m running out of shows to see, and I’m down to just 2 shows on my list – Hairspray and Marguerite. I don’t like to wish time away, but I started wondering if there was anything coming over the horizon – surely it was about time some more shows transferred to London from Broadway. So, I’ve done some digging, and read the best of what’s already out there on the web to find out if there are any shows to start getting excited about. The bad news – there are plenty of shows coming that fill me with dread (Legally Blonde, Flashdance and Never Forget come to mind). Mark Shenton announced exclusively this week that John Doyle is going to be directing the Kander & Ebb classic in London in 2009. The news came from his interview with Howard Panter, the Managing Director of the Ambassador Theatre Group, wherre he talked about plans to produce the show in London before transferring it to Broadway. When it first opened in 1984, the show starred Chita Rivera and Liza Minelli – how much would I have loved to see those 2 on stage together – as mother and daughter. Patti LuPone is rumoured to be lined up to play Chita Rivera’s part. 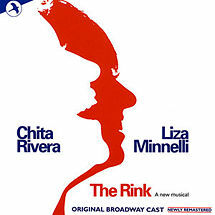 The Rink is one of my all-time favourite musicals, but generally one of the lesser-known works by John Kander & Fred Ebb (whose most famous shows were Chicago and Carabret). In fact, the very title of my blog, ‘Coloured Lights’ is taken from the opening song of the show. The music is classic Kander & Ebb – bold, brassy, catchy tunes like ‘Chief Cook and Bottlewasher’ coupled with beatiful, romantic numbers like ‘Marry Me’ and ‘Coloured Lights’. If you want to see what I mean, go get the CD! Personally, I think that the music is probably even better than Chicago and Cabaret, so it’s high time it was seen again in London. Well done to John Doyle and ATG for trying to make it happen. 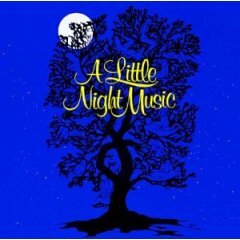 An article published in US magazine Variety last month announced that the Menier Chocolate Factory will be hosting a London revival of Stephen Sondheim’s A Little Night Music later this year, directed by Sir Trevor Nunn. Whilst “dates are not fixed and contracts are still unsigned”, there is plenty of talk around the net confirming that this show is definitely going to happen. It seems like Night Music will be the Menier’s Christmas show this year, although I suppose it’s still possible that it could play over the summer (although I’d be surprised if it happened that soon). 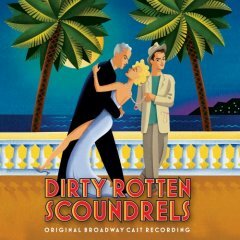 I have to admit that despite being a Sondheim nut, I don’t know this show that well, so I’ll have to listen to my CD a little more regularly before the show opens. If you haven’t got the CD, you can buy it here. For more information on the show, take a look at sondheim.com. A Little Night Music was first seen on Broadway in 1973, and last seen in London at the National Theatre in 2005, starring Dame Judi Dench. The score is not one of Sondheim’s best-known, apart from ‘Send in the Clowns’, which seems to have become one of the songs most closely associated with Sondheim’s work by the general public. After the recent success with another Sondheim show, Sunday in the Park with George, which transferred to Broadway last month, there seems little doubt that the Menier will have another success on its hands with this production. I know very little about this show, apart from the fact that it based on the controversial 1891 play of the same name, written by Frank Wedekind. 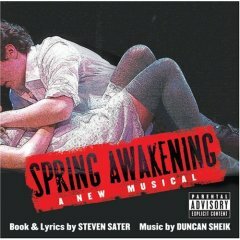 I haven’t heard the CD, but the show’s own website refer to its “pulsating, contemporary rock songs.” I’ve heard other people compare Duncan Sheik‘s music to the work of Jonathan Larson, the writer of Rent and Tick, Tick Boom. This show is definitely planning to come to London – it already has an official UK website and casting is underway. The views on the talkboard (e.g. Whatsonstage) seem mixed as to whether it will be successful commercially. Personally, I think any show that is nominated for 11 Tony Awards, winning 7 of them deserves to be seen in London. There have been rumours about this show getting a transfer for more than a year, but as of yet, nothing has been confirmed. This show is based on the 1988 film starring Michael Caine and was a huge Broadway success, nominated for 11 Tony awards. For more information, check out the show’s official website here. The show’s music is superb – quite a jazzy feel to it, with very catchy songs. I have listened to the CD a lot since it came out (buy it here), and my personal favourites are the 2 opening numbers, ‘Give them what they want’ and ‘What was a Woman to Do’, and the phenomanl ‘Here I am’, recently recorded by the phenomenal Lauren Kennedy on her new album. The show closed in 2006, and has been touring the US since. I’m keeping my fingers crossed that the West End is next on the list (and whoever wrote the Wikipedia entry for the show at least seems to think a London production is planned). I’m hoping that the Donmar Warehouse and National Theatre will be announcing musicals in their next season, so I will then be able to add to this list in the coming weeks and months.